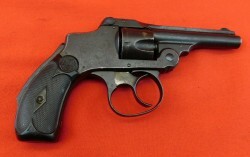 SN52379 is a Webley Scott 1907 25 Auto. 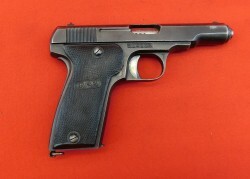 This pistol shows a good to very good bore and has 75% original blue and a chip out of the right grip panel. 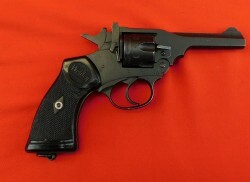 SN 130885 all matching barrel and slide. 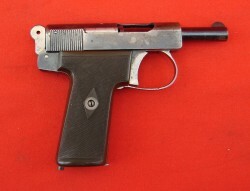 This 7.65 cal pistol show a bright very good bore. 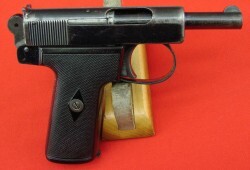 Bright excellent blue on frame . 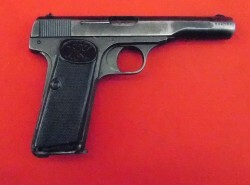 The slide shows faded blue. 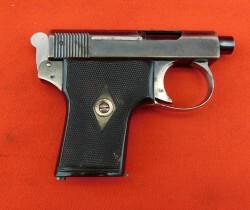 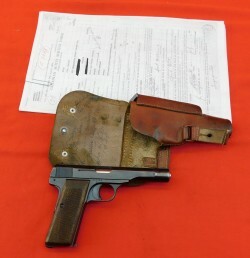 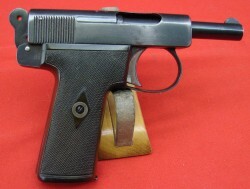 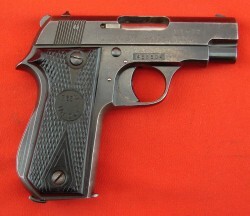 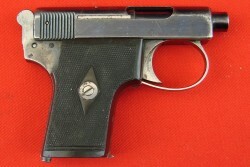 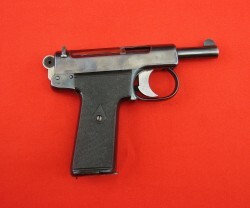 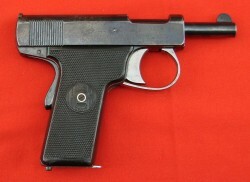 SN 27096 is a 32 auto pistol built by H & R in the U.S.A. under agreement with Webley & Scott. 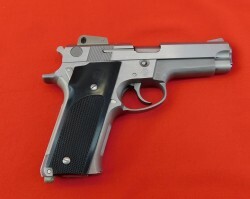 This pistol shows a bright excellent bore, slightly frosted finish and excellent grips. 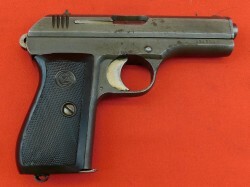 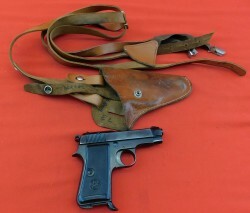 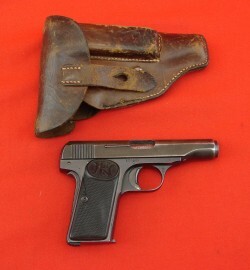 SN 103071 is a Colt Police Positive 38 built in 1919. 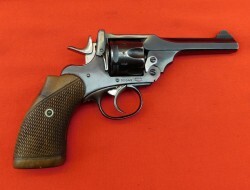 This Colt shows a 4" barrel with a bright very good to excellent bore. 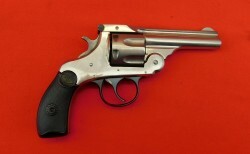 SN 21406 is a standard hammer Model 6.35 (25 auto).